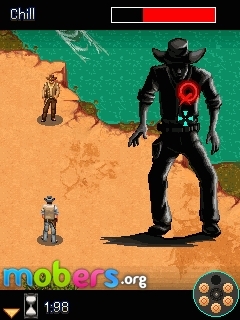 Wild West Guns (by Gameloft) — Mobers.ORG — Your Daily Source For Mobile FUN! Draw your revolver and see if you're the fastest gun in the West! Adjust your speed and precision as targets or enemies appear in front of you: point and shoot to earn more points. 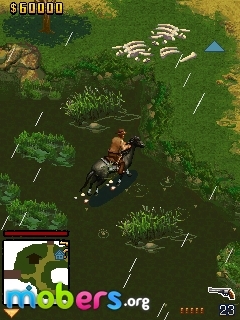 You can aim at anything so be sure to explore the environment for elements that will earn you more shooting points. Identify your enemies among the characters you encounter, but don't shoot at innocent citizens! Take part in an Old West-style train attack or challenge your skills in a variety of increasingly difficult shooting challenges in other beautiful, classic and lively Western environments. As you progress through challenges, you’ll earn medals and rewards, making for non-stop and addictive action. Play in a 2-player multiplayer mode where you and your partner can combine points, or play against each other to find out who’s the fastest gun in the West. 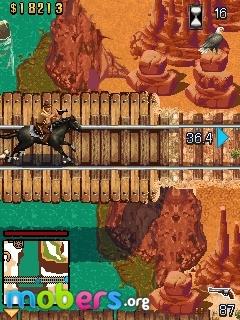 - Typical Old West environments: A Western street, natural sites, saloon, desert scene, cemetery, train tracks, and stable. - A wide variety of targets to shoot at: Cowboys or other people threatening you, sheriff signs, flying sombreros, balloons, vultures, and more! 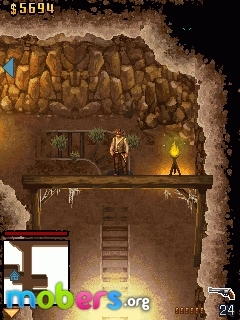 - 6 levels, 3 challenges per level, and additional levels and challenges as surprise bonuses. - Achievements and stats will be milestones for your progress and help you beat your best scores. - Challenge a friend in multiplayer modes: Choose to play together to share a maximum of points, or play against each other and find out who is the best shooter!